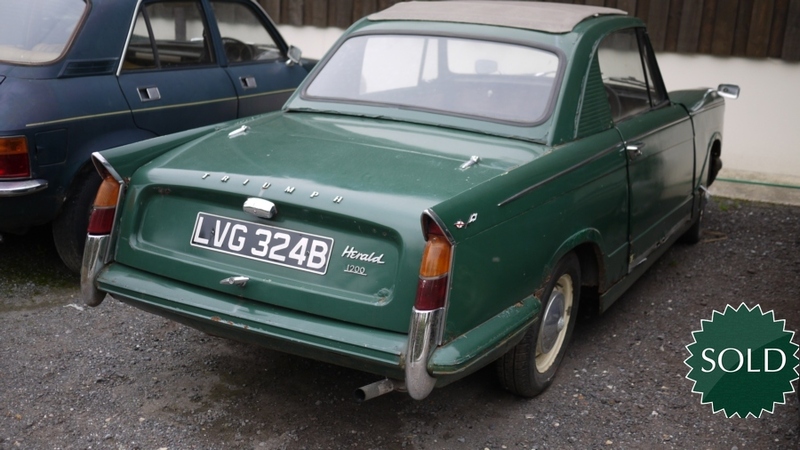 Very rare 1200 coupe, considerably rarer than the earlier 948 coupes. 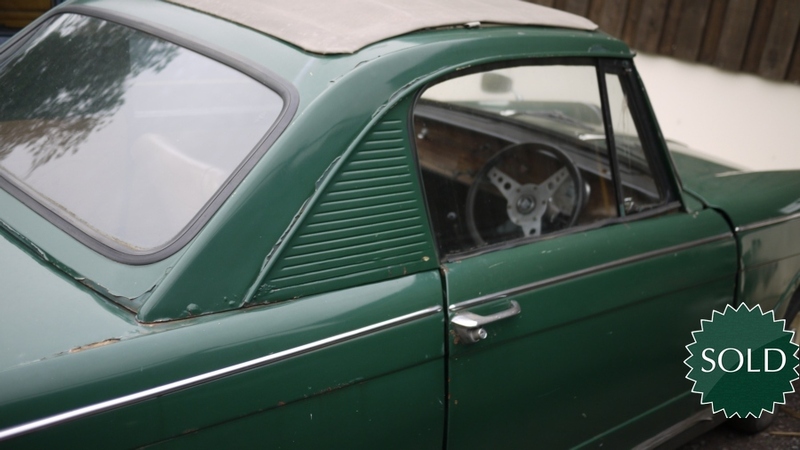 Period fitted Webasto sunroof, practically unheard of, as in the day webasto’s were very expensive and reserved for top marques like Jaguars and even Rolls Royces – generally triumphs had the cheaper weathershield sunroofs fitted. 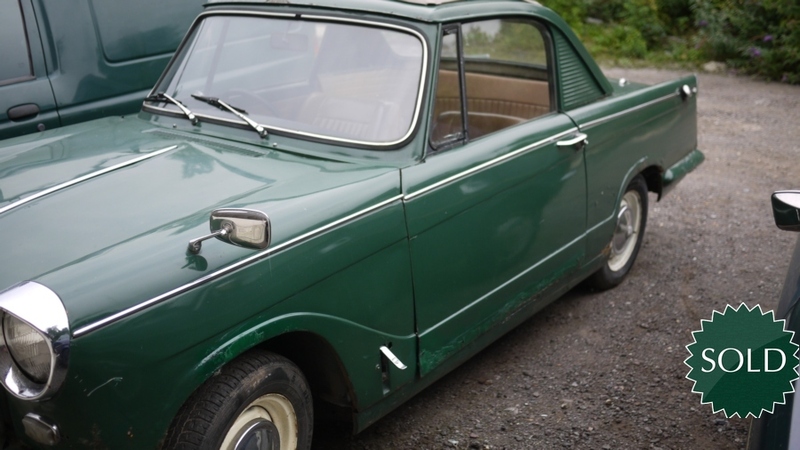 Conifer green in colour, originally with a cactus green interior. Last year of production, one of the latest surviving coupes left? Prices definitely on the up (look at convertible prices over the past two years!). 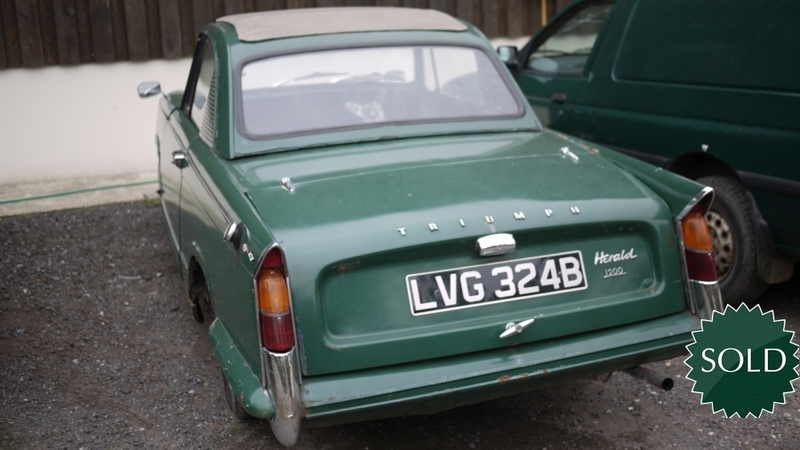 The car is complete and would make a superb restoration project. We can arrange highly competitive nationwide delivery and even offer a part exchange service if required.